Including cannabinoids in the treatment of painful schwannomatosis. Mechanistic Potential and Therapeutic Implications of Cannabinoids in Nonalcoholic Fatty Liver Disease. “Nonalcoholic fatty liver disease (NAFLD) is comprised of nonalcoholic fatty liver (NAFL) and nonalcoholic steatohepatitis (NASH). It is defined by histologic or radiographic evidence of steatosis in the absence of alternative etiologies, including significant alcohol consumption, steatogenic medication use, or hereditary disorders. NAFLD is now the most common liver disease, and when NASH is present it can progress to fibrosis and hepatocellular carcinoma. Different mechanisms have been identified as contributors to the physiology of NAFLD; insulin resistance and related metabolic derangements have been the hallmark of physiology associated with NAFLD. The mainstay of treatment has classically involved lifestyle modifications focused on the reduction of insulin resistance. However, emerging evidence suggests that the endocannabinoid system and its associated cannabinoid receptors and ligands have mechanistic and therapeutic implications in metabolic derangements and specifically in NAFLD. Cannabinoid receptor 1 antagonism has demonstrated promising effects with increased resistance to hepatic steatosis, reversal of hepatic steatosis, and improvements in glycemic control, insulin resistance, and dyslipidemia. Literature regarding the role of cannabinoid receptor 2 in NAFLD is controversial. “The anticonvulsant activity of cannabinoids attracted much attention in the last decade. Cannabinoids that are currently investigated with the intention of making them drugs for the treatment of epilepsy are cannabidiol, cannabidivarin, Δ9-tetrahydrocannabivarin and Δ9-tetrahydrocannabinolic acid. Areas covered. 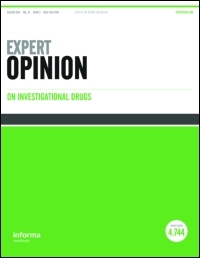 In this review, the authors look at the results of pre-clinical and clinical studies with investigational cannabinoids. Relevant literature was searched for in MEDLINE, SCOPUS, EBSCO, GOOGLE SCHOLAR and SCINDEX databases. “Although almost every state medical marijuana (MM) law identifies cancer as a qualifying condition, little research supports MM’s use in oncology. We hypothesized that the discrepancy between these laws and the scientific evidence base poses clinical challenges for oncologists. 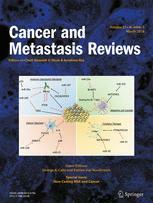 Oncologists’ beliefs, knowledge, and practices regarding MM were examined in this study. In November 2016, we mailed a survey on MM to a nationally-representative, random sample of 400 medical oncologists. Main outcome measures included whether oncologists reported discussing MM with patients, recommended MM clinically in the past year, or felt sufficiently informed to make such recommendations. The survey also queried oncologists’ views on MM’s comparative effectiveness for several conditions (including its use as an adjunct to standard pain management strategies) and its risks compared with prescription opioids. Bivariate and multivariate analyses were performed using standard statistical techniques. The overall response rate was 63%. Whereas only 30% of oncologists felt sufficiently informed to make recommendations regarding MM, 80% conducted discussions about MM with patients, and 46% recommended MM clinically. Sixty-seven percent viewed it as a helpful adjunct to standard pain management strategies, and 65% thought MM is equally or more effective than standard treatments for anorexia and cachexia. “Liver p&acirc;t&eacute;s are popular all over the world, but they usually contain high amounts of animal fats. It may be beneficial to improve their dietetic value by decreasing the saturated fatty acid content, while maintaining their sensory quality. One way to do this is to add ingredients which are rich in polyunsaturated fatty acids, such as hemp seed or linseed. Hemp seeds are valuable because of their fat and protein content and linseed is known for its high &alpha;-linolenic fatty acid (ALA) content. Both are good sources of fiber. The addition of hemp and linseed increased the fat content. The fatty acid profile improved signifi- cantly. There were more polyunsaturated fatty acids and the n-6 to n-3 ratio was reduced in both products containing oil seeds compared to the control sample, which is important from the health point of view. The color parameters were not changed. The hardness, chewiness and adhesiveness increased in products contain- ing oil seeds. Those products received higher scores in sensory analysis. 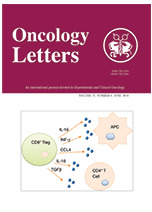 The role of lipid signaling in the progression of malignant melanoma. EFFECT OF ENDOCANNABINOID SIGNALLING ON CELL FATE: LIFE, DEATH, DIFFERENTIATION AND PROLIFERATION OF BRAIN CELLS. Cannabidiol effects on prepulse inhibition in nonhuman primates. “Prepulse inhibition (PPI) of acoustic startle reflex is a well-established behavior paradigm to measure sensorimotor gating deficits. PPI is disrupted in several neuropsychiatric disorders, including schizophrenia. PPI tests can be used to screen new drugs for treatment of such disorders. In this review, we discuss how PPI paradigm can help in screening the therapeutic effects of cannabidiol (CBD). We look into recent literature about CBD effects on PPI response in animal models, especially in nonhuman primates. CBD has been shown to modify PPI in N-methyl d-aspartate receptor antagonist models for schizophrenia, both in rodents and in nonhuman primates.